In order to provide a quality education through Unconventional Wisdom, the University of Montevallo depends on qualified, experienced faculty and staff members. If you’re seeking meaningful employment in a welcoming environment, make UM your new work home. Search through our job listing database, seek out opportunities for employment, and ask us any questions you have along the way. 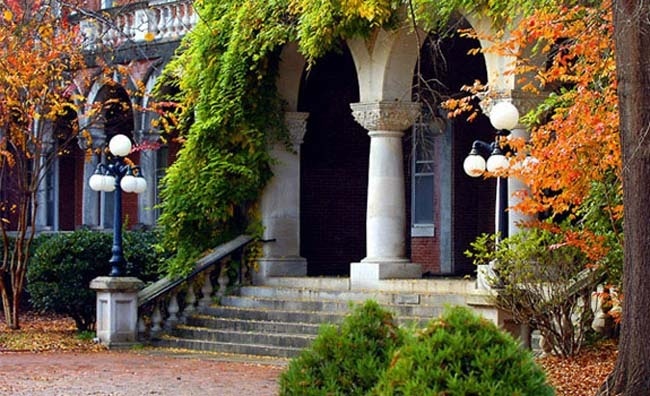 The University of Montevallo is not just Alabama’s only public liberal arts university. We’re accredited by the Southern Association of Colleges and Schools, and we’re a member of the Council of Public Liberal Arts Colleges (COPLAC), a national alliance of leading liberal arts colleges in the public sector. That means only the brightest minds and the most successful students will cross your path here at UM, and they’ll be eager to learn more every day. Additionally, being on the outskirts of Birmingham provides ample living options and entertainment opportunities.If you’re interested in working at the University of Montevallo, please visit jobs.montevallo.edu or click the employment link below. Our Job-Line at (205) 665-8050 is available 24 hours a day, 7 days a week for your convenience. Updated every Wednesday, this pre-recorded message lists all of the current job openings along with application deadlines and desired qualifications. In accordance with University policy 01:100, the University of Montevallo is an equal opportunity/affirmative action institution and prohibits unlawful discrimination on the basis of race, color, religion, national origin, gender, sexual orientation, gender identity, gender expression, age, genetic information, disability, or disabled veteran/Vietnam era veteran status in the University’s educational programs; admissions policies; faculty, staff, and student employment policies; financial aid; or other school-administered programs and services. The University of Montevallo prohibits any form of harassment related to race, color, religion, national origin, gender, sexual orientation, gender identity, gender expression, age, genetic information, disability, or veteran status of and by faculty, staff, and students. It is the University’s intent to take affirmative action to ensure equal opportunity in employment, and to avoid unlawful discrimination in employment within the University. The University will take affirmative action to recruit, employ, and to advance in employment minorities, women, and disabled veterans/Vietnam era veterans. Reasonable accommodations will be made for qualified disabled veterans and persons with disabilities. The University and individuals or agencies signing contracts with the University agree not to discriminate against any employee or applicant for employment because of race, color, religion, national origin, gender, sexual orientation, gender identity, gender expression, age, genetic information disability, or veteran status and agree to take affirmative action to ensure that applicants and employees are treated without regard to their race, color, religion, national origin, gender, sexual orientation, gender identity, gender expression, age, genetic information, disability, or veteran status. This policy covers the following: Recruitment and recruitment advertising; employment, promotion, demotion, or transfer; layoff or termination; rates of pay or other forms of compensation; training; and all other terms and conditions of employment. The University and individuals and agencies with whom it contracts will adhere to the letter and spirit of all relevant laws and governmental regulations. The University shall not take any discriminatory action against a person, group or organization based wholly or partially on that person, group or organization’s perceived or actual religious beliefs about marriage, gender and/or sexuality. The Director of Human Resources and Risk Management is responsible for coordination of activities to ensure equal opportunity/affirmative action in all University programs and activities and for monitoring their effectiveness. View the University Policy 01:100 for Equal Opportunity/Affirmative Action.